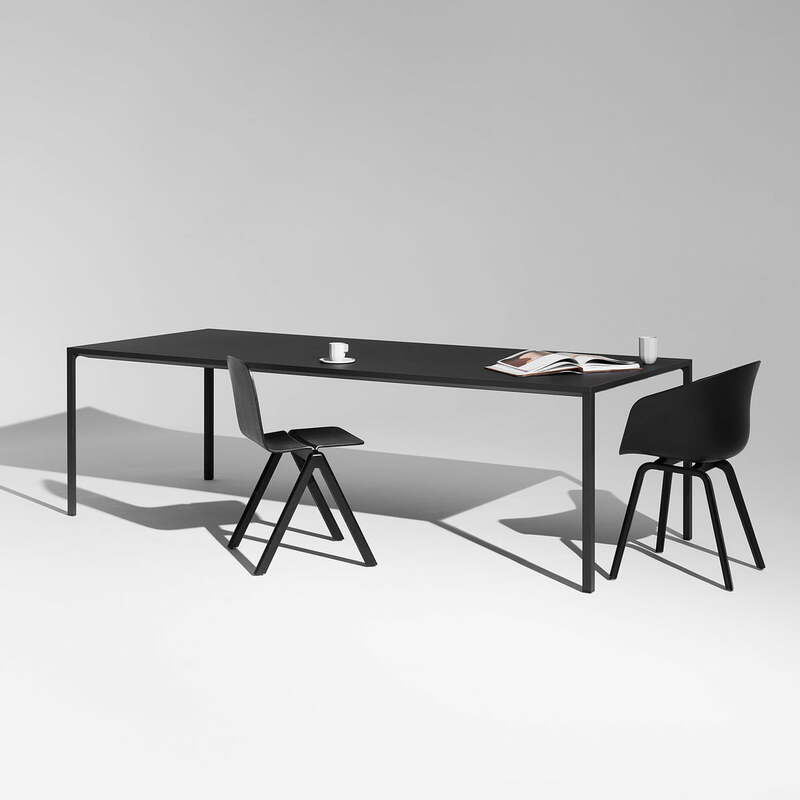 The New Order table by Hay appears in the minimalist industrial style and achieves the aim of Hay, being an uncompromising and high-precision quality product. As part of the New Order series by Stefan Diez, the table is perfectly to combine with different shelves of the collection, so that, for example, a whole office furnishing can be created in the study room or a small desk corner together with the order system in the bedroom. 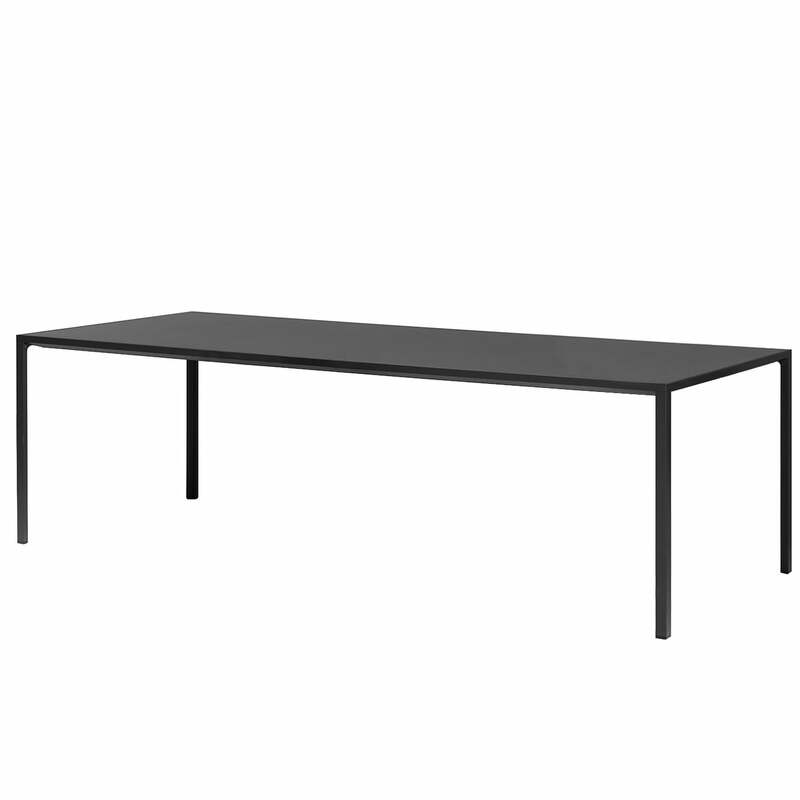 The table, just like the shelving system is made of aluminium profiles that make it a simple, lightweight, and versatile piece of furniture. Especially in offices and conference rooms is the New Order table popular, because it is functionally extensible and thus works as a part of a modular office system. The aluminium profiles enable storage and organisation of cables, which is especially in open-plan offices of great benefit. But also as a dining table in the kitchen does the table serve its purpose and offers space for intimate dinner evenings with friends and family.